NOTICE: A pre-auction bid has been received and accepted by the seller, the auction scheduled for October 26 will not be taking place. 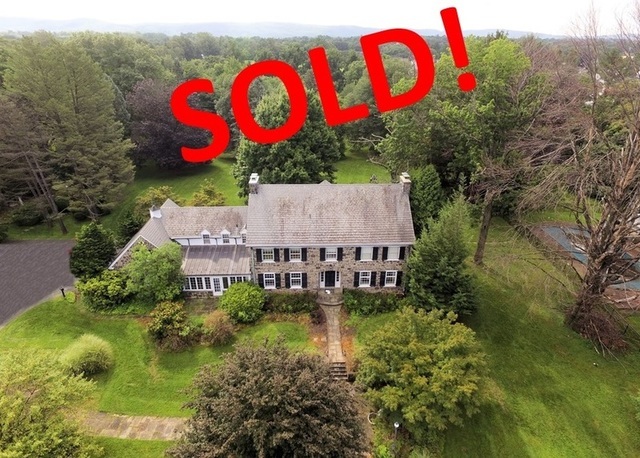 Bank owned 5 bedroom stone colonial home sets on a private 6 acre estate and is nestled in amongst mature landscaping and towering trees in Leigh County, Allentown, PA. Built by Frank Childs in 1937, this home was modeled after George Washington’s summer residence providing a unique historical feel. Enter the home through the elegant foyer with a spiral staircase and marble flooring and make you way to the light and airy kitchen which leads to a separate stoned breakfast room overlooking a private setting. When it comes time to entertain there are plenty of spaces to choose from including a formal living room with Moravian tile fire place, family dining room with hardwood floors and corner cabinets or the solarium with Moravian tiled floors which leads to the outdoor patio and in ground pool perfect for outdoor entertaining. Additionally there is a TV room/library which features include knotty pine paneling, Moravian tile fireplace and built in bookshelves. The master bedroom features a separate dressing room with custom cherry cabinets, granite center island counter and a cozy window seat. There are 4 additionally bedrooms all located on the 2nd floor, as well as 3 full and 2 half baths. The lower level offers another fireplace, wet bar, powder room and laundry facility. Don’t miss this opportunity to own your own private estate! Closing: 70-Day closing, sold in As-Is condition, no contingencies. Deposit Amount: 10% deposit with a minimum deposit of $10,000 in guaranteed funds. Disclaimer: Information contained herein is believed to be correct to the best of auctioneer/agent’s knowledge but is subject to inspection and verification by all parties relying on it. Sellers, their representatives and auctioneer/agent shall not be liable for inaccuracies, errors, or omissions. All square footage and other dimensions are approximate. This offering is subject to prior sale and may be withdrawn, modified or cancelled at any time without notice.